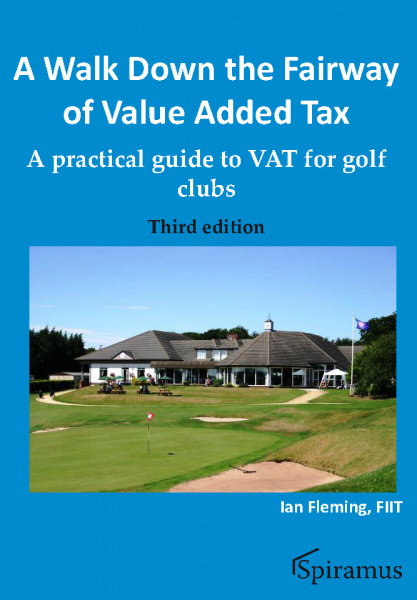 This book is intended as a guide to the basic rules of VAT as they affect golf clubs for club secretaries, treasurers, finance committee chairmen and accounting practices that have golf clubs as their clients. The third edition includes a new chapter to cover claims for overpaid VAT the consequences of the Bridport and West Dorset Golf Club case and new HMRC guidance. This is a timely update of Ian Fleming’s invaluable guide, first published in 2006. For anyone involved in the administration of golf clubs, and in particular with their finances, grappling with VAT has been a thorny issue ever since it was introduced in the UK in 1973. 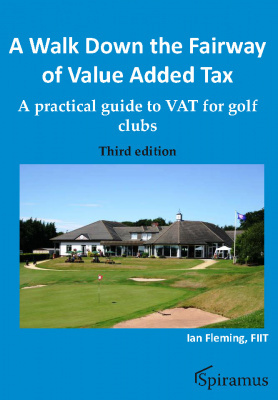 This book explains the basic rules of VAT as they affect golf clubs. Written for club secretaries, treasurers, finance committee chairmen and accounting practices that have golf clubs as their clients, it highlights many of the most common problems likely to arise in the context of VAT. The author offers practical advice, such as how to avoid an unexpected VAT bill on a refurbishment of the clubhouse. With this book as a reference, it will be easier to avoid the many VAT "bunkers" which can create unwelcome and costly traps for golf clubs. The third edition includes a new chapter to cover the consequences of the Bridport and West Dorset Golf Club case and new HMRC guidance. VAT Liability – taxable or exempt? Income and Corporation Taxes Act 1988 s. 839.